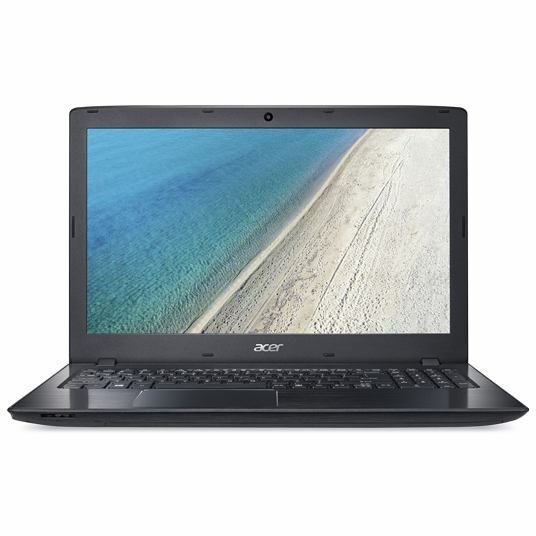 The Acer TravelMate P259-M-36W8 Notebook is part of IT-Suppliers monthly deals that are available to you. This notebook is ideal for all round business use whether on the go or in office. Below you can see some of the Acer TravelMate P2 Features and Specification for this Notebook, and you can see if this appeals to you. The TravelMate P2 Series delivers the High Audio and also the Visual quality that is ideal for Skype and Business use. The Hardware ensures that all speech is clear with no lag and minimal background noises. Additionally, the TravelMate is efficient in features to make things easier. It allows you to work faster with smoother gestures on the large Precision Touchpad and you can quickly share contacts via your Smartphone. It packs the latest Intel Core Processors and Graphics to keep you at your productive best. Therefore, the system has up to date technology to help you on the go to manage and complete most business tasks with ease. Intel Core i3-6100U Processor (2.3GHz) to complete all tasks. Internal Memory of 4GB RAM with a Hard Drive Capacity of 500GB running at 5400 RPM. Display resolution of (1366 x 768 pixels) with dimensions of 381.6mm x 259mm x 30.2mm (Width x Depth x Height). This Acer TravelMate Notebook currently has plenty of stock available at IT-Supplier. You can get updates by using our contact details or following our social media pages also linked below. Furthermore, we are able to provide you with similar alternatives to this TravelMate if you believe this is not for you. To discuss further needs with the team, email Support@IT-Supplier.co.uk or call 0203 328 5655. Our Social Media links are below where there are updates for different Offers and Promotions. Click Here for more Blogs.